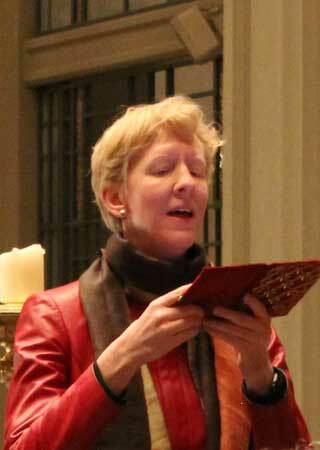 In addition to her work with the Medieval Women’s Choir, soprano Marian Seibert is a soloist with the Trinity Consort. She has performed with many local ensembles and organizations, and is a featured soloist on the Medieval Women’s Choir’s CDs, River of Red and Laude Novella. In her other life, she works for a letterpress print shop.